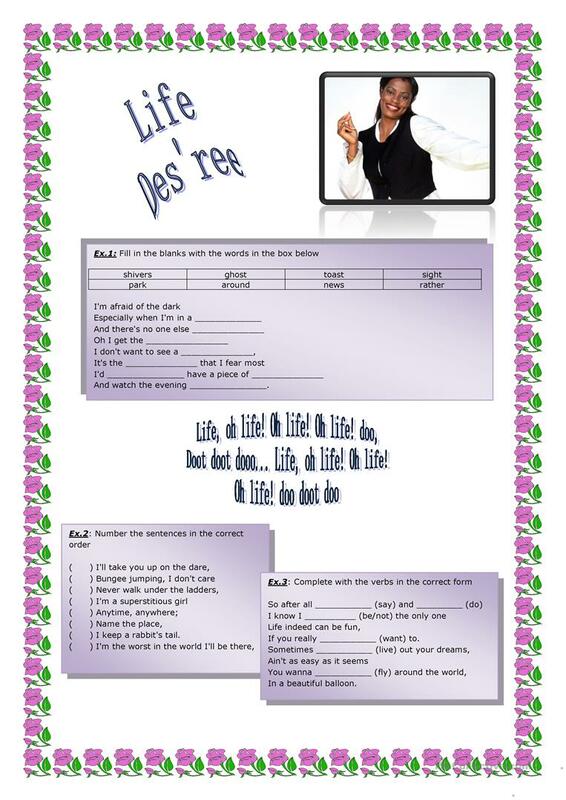 This is a nice song to work with phonics. The present downloadable handout is meant for high school students and adults at Intermediate (B1) and Upper-intermediate (B2) level. It is great for practising Phonetics (pronunciation, IPA, phonetic symbols) in English, and was designed for enhancing your students' Listening skills.